The Trump administration yesterday added $200 billion worth of tariffs to the $50 billion in trade levies already slated to go into place next month and threatened to add $200 billion more, sending share prices down. The news put the Dow Jone Industrial Average on track for its longest losing streak in 15 months and added to losses posted last week when the first $50 billion round of tariffs was announced. Those levies included medical devices made in the People’s Republic that could put a $5 billion hit on the U.S. medtech industry, imposing an extra 25% duty on Chinese imports with “industrially significant” technologies, according to the office of U.S. Trade Representative Robert Lighthizer. 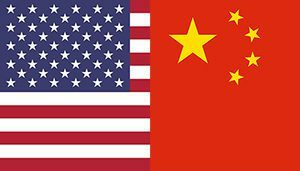 The newest set of $200 billion tariffs would add a 10% duty to Chinese imports selected by Lighthizer’s office. Another $200 billion in tariffs could be in store if China retaliates against the latest round of U.S. levies. Get the full story on our sister site MassDevice.